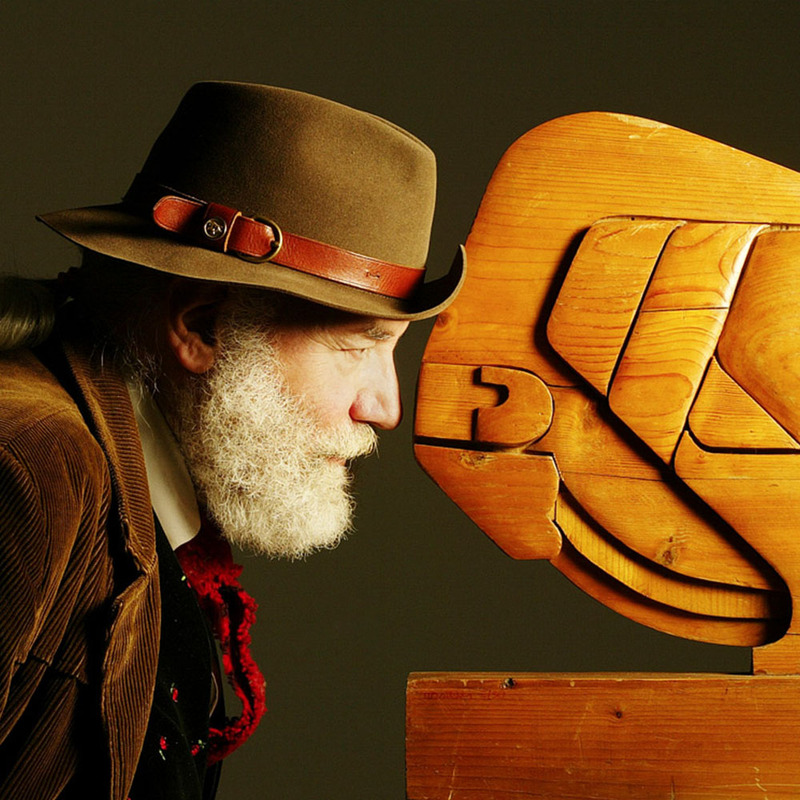 The founder and brand ambassador’s love story with bison blossomed in the late 1960s. Since then Wanny has never stopped collecting works of art, everyday paraphernalia and “sentimental items” dedicated to this animal. 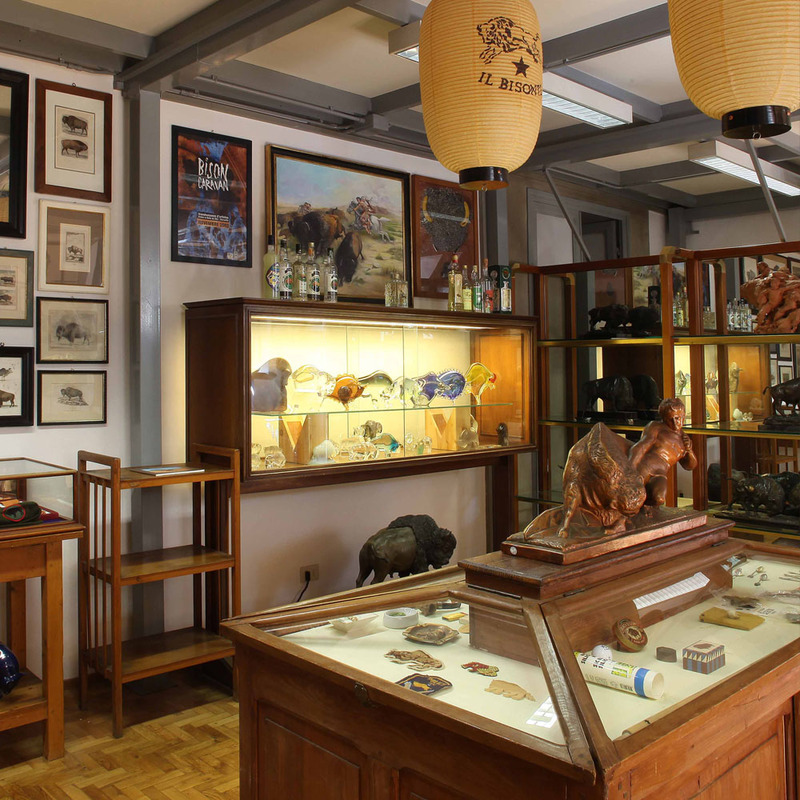 The resulting astounding collection is housed in Palazzo Corsini’s Bison Museum in the heart of Florence. More than 2000 pieces have been cataloged so far: paintings, sculptures, prints, artistically crafted items in precious materials from all over the world; toys, plush animals and pinball machines; wooden rolling pins and bone pipes; nineteenth-century bronzes and magnificent Murano glass; American coins and buckles; Polish stamps, vintage postcards and books in myriad languages; Art Deco ceramics and newspaper pages; Christmas decorations, bottles of vodka, furniture and ties. 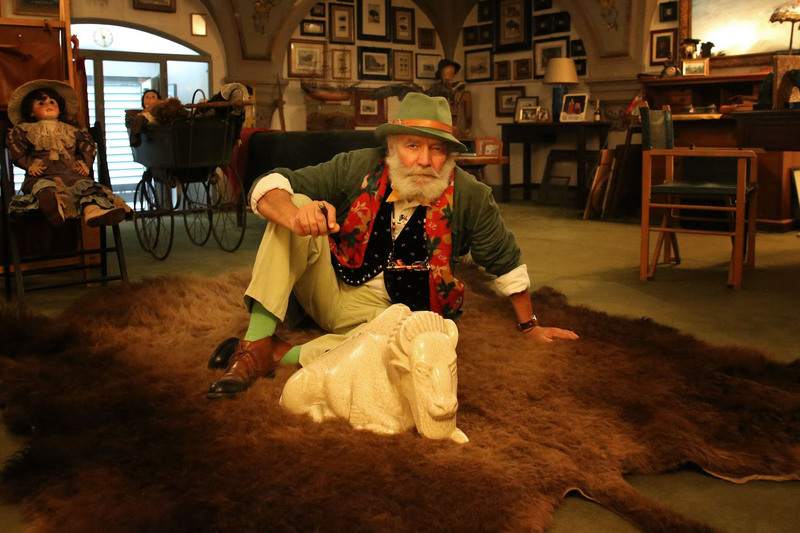 Wanny’s obsession is glorious and his extraordinary collection of memorabilia is an ever-evolving temple of true bison-mania. Accompanying every object is a story, a friendship, a journey, a place, an ideal, a game. Visiting the Bison Museum with Wanny Di Filippo is a unique experience. You come out stunned by the mixture of news and anecdotes, precious objects and tinned meat, dreams and jokes, and by the seemingly endless array that never ceases to surprise. What stays with you is the feeling of having experienced a part of Wanny’s incredible life. And having been infected by his tenacious empathy towards an animal whose tormented history (made up of symbolic values, extermination, resistance and rebirth) has crossed paths with man and his imagination since the dawn of civilization. Painted porcelain sculpture of a bison fighting a cheetah, manufactured in East Germany. French ceramic pillbox. 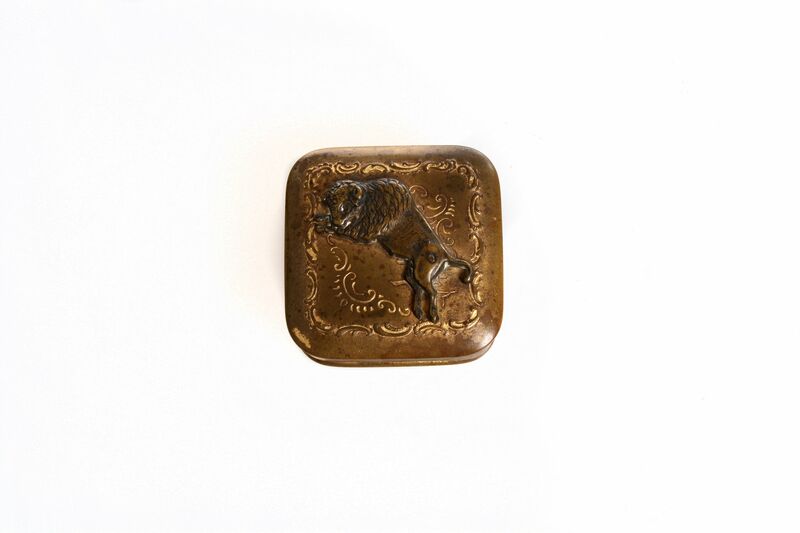 Small hand-painted ceramic box with brass hinge and clasp with a Native American profile. American postcard from the early twentieth century with colored black and white photograph. Pressed cardboard coaster featuring a picture of a bison drinking a beer, Purchased in the US in 2011. Silver bezel buckle with turquoise bas-relief on mother-of-pearl back. 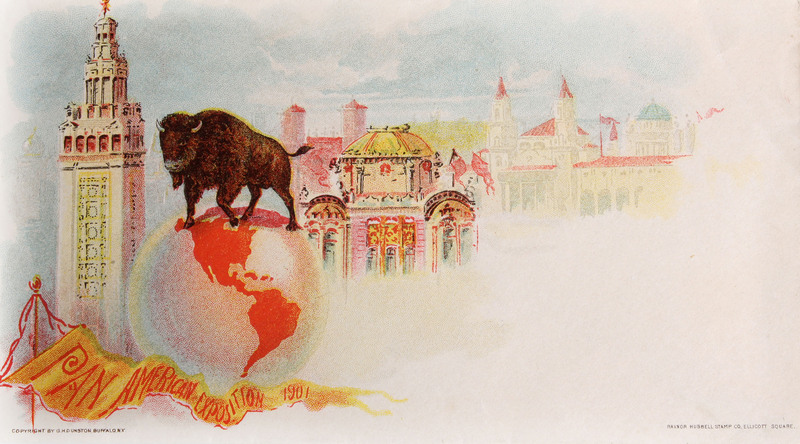 Buffalo, NY, 1901: 8 million people visited the Pan-American Exposition, the largest demonstration ever held in the city that calls itself “Buffalo” after the American bison. The animal’s picture exploded all over America, printed on postcards and posters, engraved on paraphernalia and gadgets. So many were produced and sold that communication experts say it was the year and place that mass merchandising began. 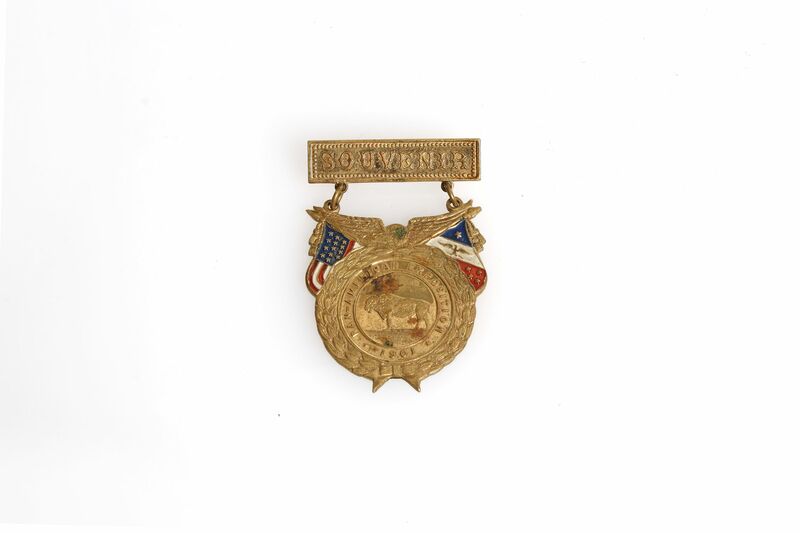 Among the astonishing temporary exhibits at the Pan-American Exposition were revolutionary technological breakthroughs such as X-ray diagnostic devices and electric typewriters. A US president was also assassinated. The place of his death was the most visited in the last two months of the exhibition. For the rest of that time, first place belonged to the bison: 75% of the visitors gather in the Ethnological section which was dedicated to Native American artifacts, traditions and their animal symbol. 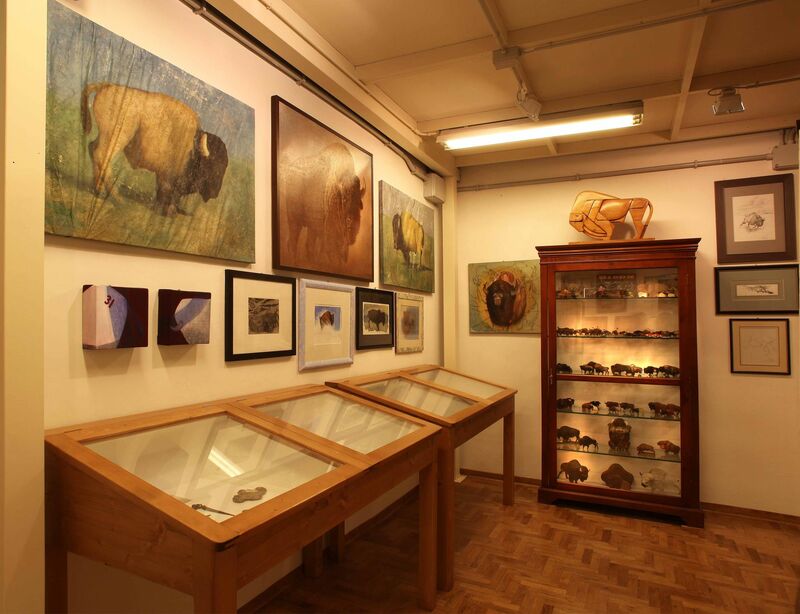 An entire section of Wanny’s Bison Museum is dedicated to souvenirs from the exhibition. Kept in solid wooden and glass cases are: envelopes, coin purses, pill boxes, cigar cases, paperweights, letter openers, teaspoons, pins, saucers, medals, tokens, mugs, sometimes stored together with their original packaging or with recollections from the prior owners. Coin purse in painted mother-of-pearl. The souvenir is accompanied by a handwritten note from the owner telling how and where she bought it. Medal surrounded by laurel wreath. 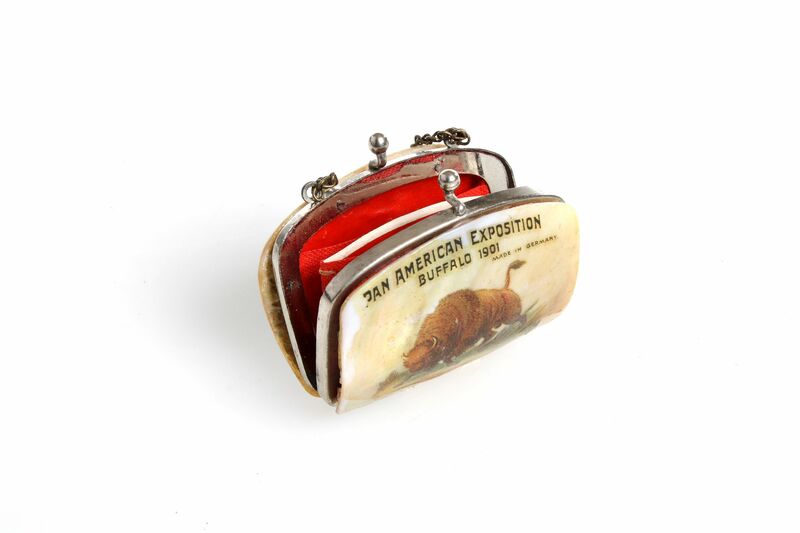 This souvenir from the Pan-American Exposition features an eagle and a bison. 115 years later, President Barak Obama signed the National Bison Legacy Act, under which the bison becomes the “national mammal” and symbol of the States, equally as important as the national bird. 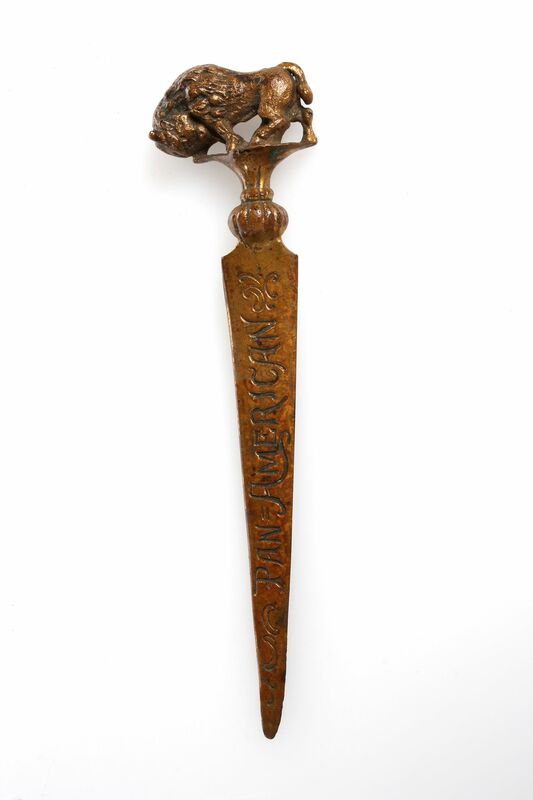 Brass letter opener with bison handle.